In the wake of the horrifying abortion law signed by New York governor, Andrew Cuomo, and the legislative actions being attempted by several other states, there seems to be a glimmer of hope elsewhere. 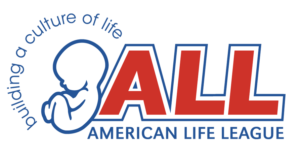 Since January of this year, seven state legislatures are clearly committed to stopping the madness of killing babies prior to birth and hiding behind the flawed Roe and Doe decisions of the Supreme Court in 1973. Each of these laws challenges the fundamental premise of Roe, which is that the baby is not a person and therefore does not deserve protection. Colorado, Texas, Washington, Indiana, Missouri, Mississippi, and Oklahoma are considering bills that, while not perfect, are indeed a step in the right direction. A recent snapshot report from Planned Parenthood Federation of America and the Guttmacher Institute has labeled these new bills as a major threat to the abortion industry. I could not agree more. To give the abortion industry a fatal blow, it will take brave politicians and Americans who are not afraid to stand up for humans at their earliest and most vulnerable stages. These new bills are indeed a breath of encouragement.